400-416 Commonwealth is located on the SE corner of Commonwealth and Charlesgate East (and the NE corner of Charlesgate East and Newbury), with 390 Commonwealth to the east, and 24 Charlesgate East (419 Commonwealth) to the north, across Commonwealth. 400-416 Commonwealth (30 Charlesgate East) was designed by architect Arthur H. Bowditch and built in 1897-1899 as a six story hotel, The Somerset. It was built for the Somerset Trust, organized by Francis Peabody, Jr., and William H. M. Williams. Francis Peabody, Jr., et al, trustees of the Somerset Trust, are shown as the owners on the 1898 Bromley map. Construction started in October of 1897 and the hotel opened on March 1, 1899. Like the Hotel Vendôme further east on Commonwealth, The Somerset accepted both travelers and permanent guests. 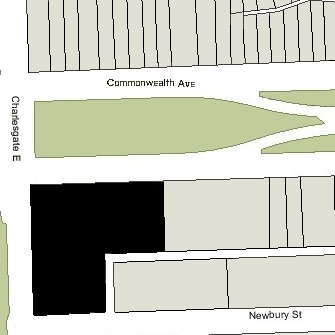 When it was built, The Somerset occupied the end of the block between Commonwealth and Newbury, with a frontage of approximately 130 feet on Commonwealth and 231 on Charlesgate East. 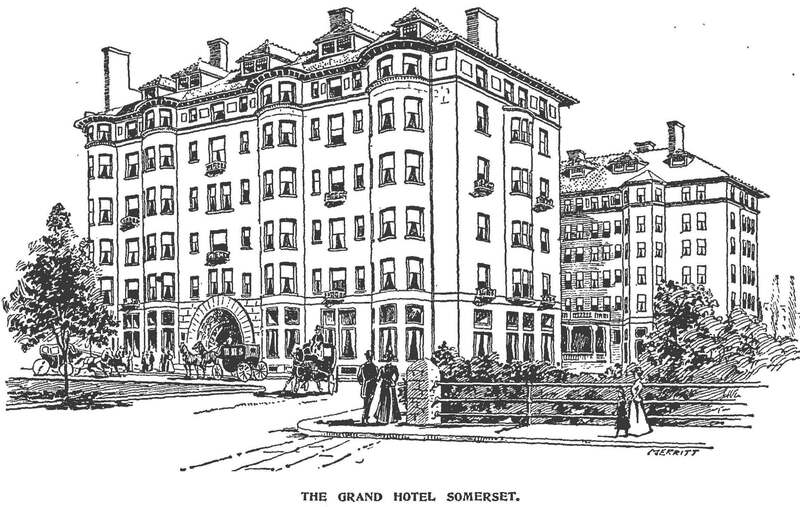 Francis Peabody, Jr., et al, trustees of the Somerset Hotel Trust are shown as the owners on the 1908, 1917, and 1928 Bromley maps. 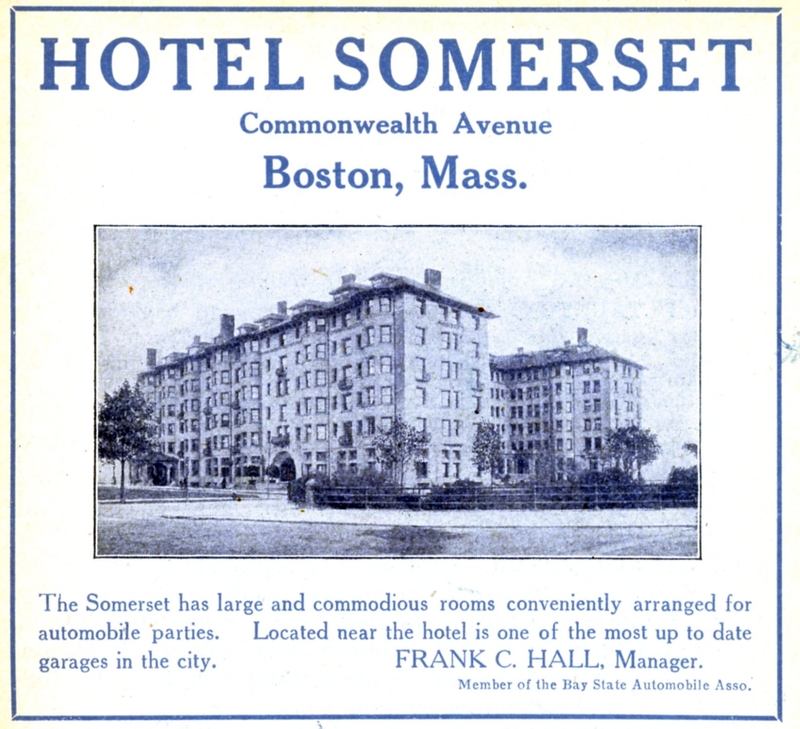 The Somerset Hotel Company is shown as the owner on the 1938 Bromley map. 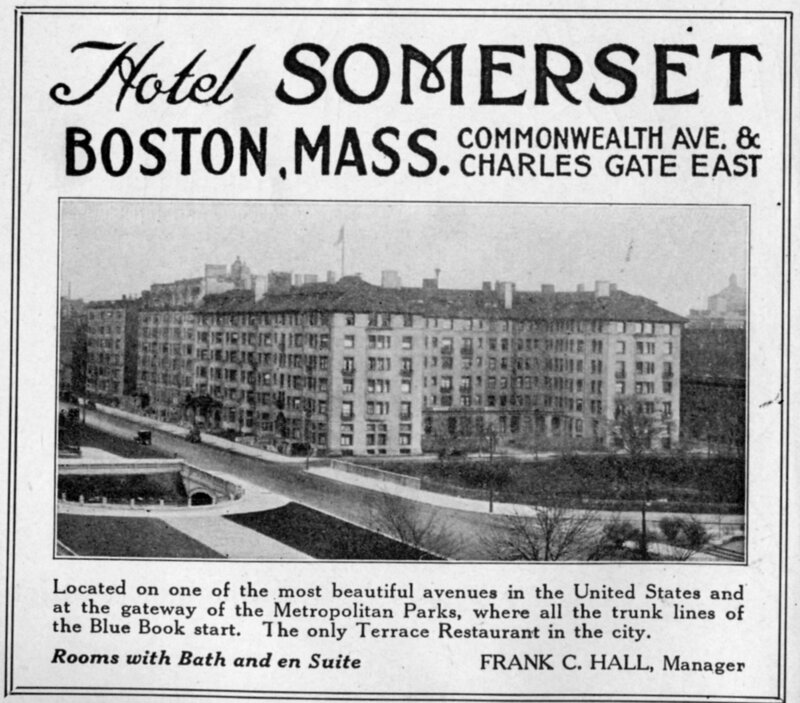 The Somerset rapidly became one of Boston’s premier hotels, the locus for balls, cotillions, and weddings as well as the hotel of choice for visitors from the political, social, and entertainment worlds, ranging from Gloria Swanson to the Beetles. By 1946, Edward Bryce Bell became managing director and undertook renovating and refurbishing it so that it could return to use as a hotel. In 1947, Edward Bell acquired the Hotel Lafayette at 333 Commonwealth and A. M. Sonnabend purchased the Hotel Somerset. Based in Boston, Sonnabend Operated Hotels grew to national and international scale, becoming the Hotel Corporation of America in 1956 and Sonesta International Hotels in 1979. In 1952, the Hotel Somerset absorbed the Hotel Puritan, located immediately to the east at 390 Commonwealth, and the two were operated as an integrated property. In 1955, the Hotel Somerset installed an outdoor swimming pool in the patio area facing Charlesgate East. In November of 1957, the hotel applied for (and subsequently received) permission to install a “macademized open-air parking lot for use by the Hotel Somerset” on the vacant lot at 388 Commonwealth. The Hotel Corporation of America subsequently withdrew from its agreement with Prudential in favor of the Sheraton Corporation, and in November of 1965 it re-acquired the Hotel Somerset. In 1966, the Hotel Somerset built a multi-story parking garage on Newbury Street, behind the hotel. In 1972, real estate developer Pasquale Franchi purchased the Hotel Somerset. He also had recently acquired the Hotel Vendôme and was in the process of converting it into apartments and commercial uses. The Hotel Somerset closed on March 31, 1972. Pasquale Franchi’s company, Somerset Building, Inc., remodeled the buildings, converting them from a hotel into 187 apartments, a nightclub, shops, and offices. The entirety of 390 Commonwealth (the former Hotel Puritan) was devoted to office and commercial space. In 1976, the Savings Banks Trust Company of New York City foreclosed on its mortgage to Somerset Building Company. It was the only bidder at the foreclosure auction and took possession of 390-400 Commonwealth. The properties subsequently changed hands, including going through foreclosure again, and in January of 1982 were acquired by the 400 Commonwealth Avenue Apartments LP. In March of 1983, 400 Commonwealth Avenue Apartments LP sold 390 Commonwealth (including the vacant lot at 388 Commonwealth) to Frederic W. Rust, trustee of the Puritan Investment Trust. He subsequently remodeled 390 Commonwealth into residential units and built a new building at 388 Commonwealth, joined with 390 Commonwealth, and converted them into the Windsor Place Condominium. 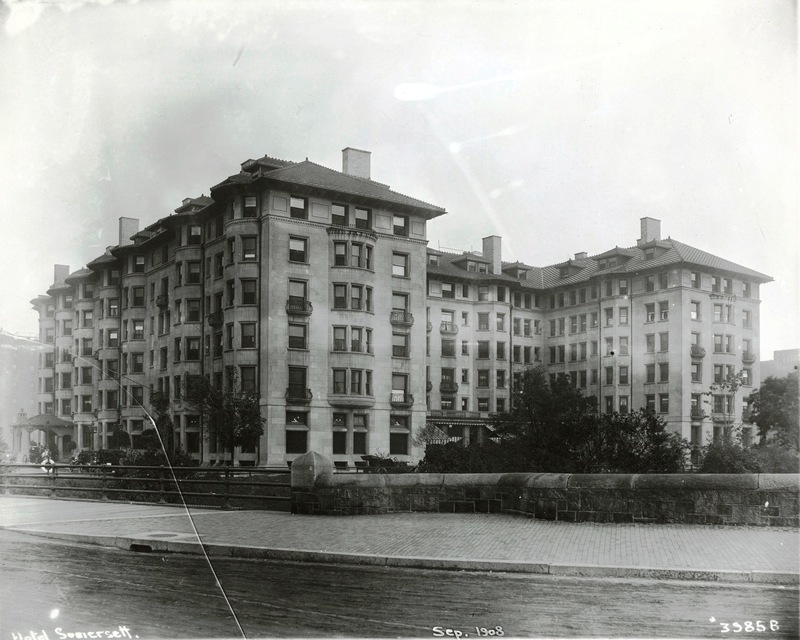 In May of 1983, 400 Commonwealth Avenue Apartments LP converted 400-416 Commonwealth into 93 residential condominium units and four commercial condominium units, the Somerset Condominium. 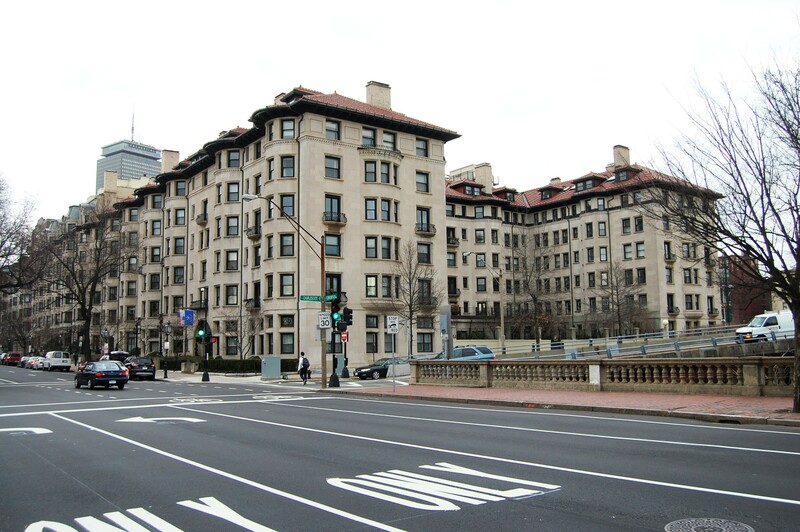 In March of 1984, 400 Commonwealth Avenue Apartments LP filed for (and subsequently received) permission to remodel the units on the south and west sides of the building, noting that this was Phase II of the remodeling. It also applied for (and received) permission to increase the legal occupancy to 117 units, a private health club, and offices. In February of 1985, the condominium association amended the master deed to conform it with the legal occupancy, specifying 117 residential units and 4 commercial units.